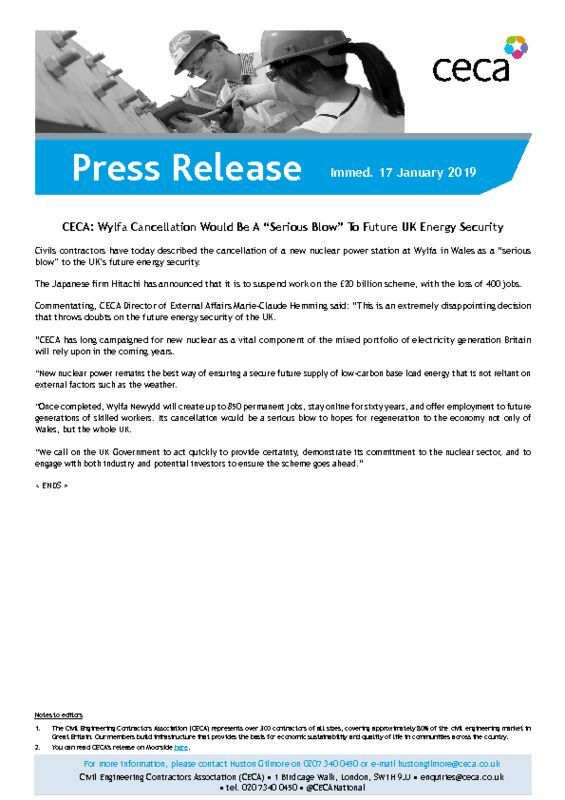 CECA has today described the cancellation of a new nuclear power station at Wylfa in Wales as a “serious blow” to the UK’s future energy security. The Japanese firm Hitachi has announced that it is to suspend work on the £20 billion scheme, with the loss of 400 jobs. Commentating, CECA Director of External Affairs Marie-Claude Hemming said: “This is an extremely disappointing decision that throws doubts on the future energy security of the UK. “CECA has long campaigned for new nuclear as a vital component of the mixed portfolio of electricity generation Britain will rely upon in the coming years.